Cool Jel in a convenient, 25 pack dispenser with 1/8 oz. (3.5 gram) unit doses packets. 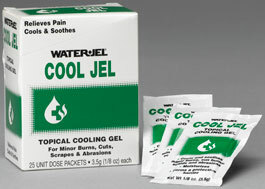 The product cools & soothes minor burns. 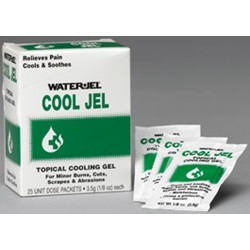 Its cooling formula comforts and moisturizes the injured area while forming a protective barrier against infection.